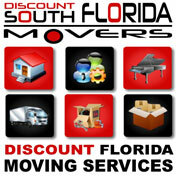 Miami Springs Movers – Discount South Florida Movers knows that few things are as difficult as moving. That’s why we strive to make your experience painless and hassle free. Our expert team of movers has many years of experience in the county area. Our rates are the lowest around but not at the expense of quality. Whatever you need done, we can do for your move. If you need your things securely packed, we can put your mind at ease that your things are safe and secure. We offer the flexibility to schedule your move during nights and weekends for no additional charge. Specialty items like pianos are no problem for us either. Our skilled team can fulfill all of your requirements. Miami Springs is a city in the interior of Miami-Dade County. This city of 14,000 was incorporated in 1926. Like most of the cities founded during the land boom, this city was designed with a particular theme in mind. The original buildings in the city were designed in a style called Pueblo Revival meant to mimic the style of houses found in the South West. Some of the more well-known landmarks are the Curtiss Mansion and the Fair Haven Nursing Home. The Curtiss Mansion was created by Glenn Curtiss, the founder of the city. Despite suffering two fires, it has been completely restored. Since Glenn was an aviator by trade, much of the early city was home to people in the airline industry. Even after the airline crash in 1991, the city’s proximity to the International Airport has kept that legacy alive. Discount South Florida and Miami Springs movers provide low rates on residential, commercial, piano and long distance moving.